Cosmology has upped its game in the past couple of decades. There was a time when the age of the Universe was only known as probably several billion years. This is because measurements of cosmic distances and the Hubble parameter were only loosely known. Today we can say the Universe is 13.8 billion years old, give or take a bit. But that level of precision has been hard won, and it hasn’t been without controversy. 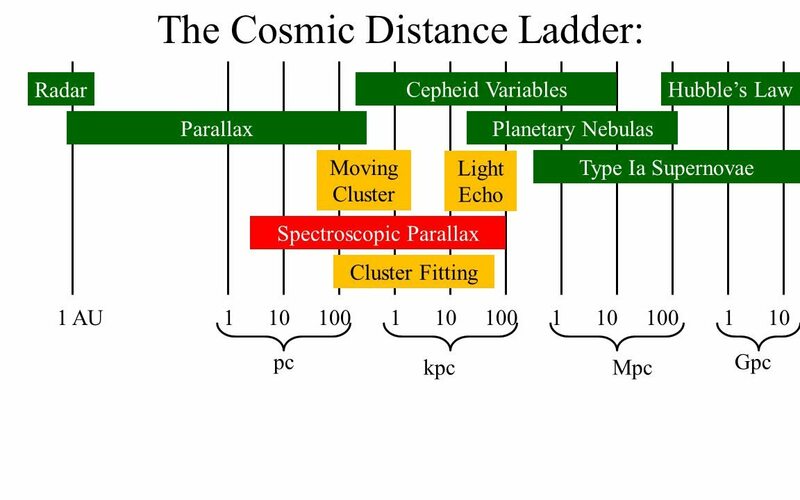 Cosmic distances are measured through a range of methods that overlap in their useful distances, known as the cosmic distance ladder. The three big methods are parallax for nearby stars, Cepheid variable stars for globular clusters and nearby galaxies, and type Ia supernovae for distant galaxies. The latter two are known as standard candles, because we can indirectly determine their actual brightness and compare it to their observed brightness to determine their distance. The Achilles heel of standard candles is that if their presumed actual brightness is wrong, then our distance measurements are wrong. Recently there’s been a bit of furor over the discovery that type Ia supernovae aren’t entirely consistent in their brightness, but come in two varieties. One is a bit brighter at reddish wavelengths, and another is a bit brighter at bluish wavelengths. 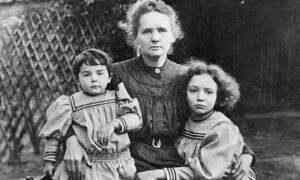 We’ve generally used a single method to determine absolute brightness, and these two varieties would give different answers. This led to speculation that perhaps dark energy and the ever increasing expansion of the universe was actually wrong. If distant supernova are actually dimmer than we assumed, perhaps dark energy isn’t real. That made for great headlines, but it isn’t true. While we do use supernovae to determine the existence of dark energy, we also have other methods, such as the large-scale clustering of galaxies and fluctuations in the cosmic background to measure it as well. This new discovery might mean there is less dark energy than we thought, but dark energy isn’t going away because we have a confluence of evidence to support it. This discovery is an indication of just how far we’ve come. Our measurements are now so sophisticated that we’re adding nuances to our results to make them better. This has happened before. In the early days of modern cosmology the big focus was on Cepheid variables. After being used to demonstrate our galaxy wasn’t alone in the Universe, they were used to determine galactic distances millions of light years away. It was Cepheids that allowed Hubble to first demonstrate the Universe was expanding. But as we observed more Cepheids it became clear that they came in two varieties. 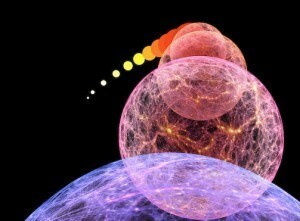 When this became understood, the age of the Universe shifted from a few billion to around 10 – 20 billion. What started as a problem led to a better measure of cosmic age. Which just goes to show that dark energy isn’t some magical idea we’ve dreamt up to fit our models. Our model is so good now that we can find subtle errors and correct them.